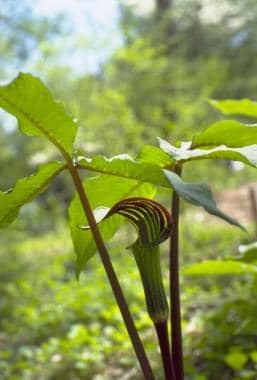 Philodendron and Dieffenbachia exposures are among the most common plant exposures reported to poison control centers. In most cases, nonsoluble oxalate plants produce self-limited symptoms and clinical manifestations. Significant morbidity or mortality is extremely rare. One case report of an infant fatality attributed to airway obstruction after exposure to Dieffenbachia exists. The majority of oxalate plant exposures occur in children younger than 5 years while sampling houseplants in the home. Wang B, Han L, Chen C, Wang Z. The complete chloroplast genome sequence of Dieffenbachia seguine (Araceae). Mitochondrial DNA. 2015 Jul 8. 65 (4):1-2. [Medline]. Lin TJ, Hung DZ, Hu WH, Yang DY, Wu TC, Deng JF. Calcium oxalate is the main toxic component in clinical presentations of alocasis macrorrhiza (L) Schott and Endl poisonings. Vet Hum Toxicol. 1998 Apr. 40(2):93-5. [Medline]. Zhong LY, Wu H. [Current researching situation of mucosal irritant compontents in Araceae family plants]. Zhongguo Zhong Yao Za Zhi. 2006 Sep. 31(18):1561-3. [Medline]. Bronstein AC, Spyker DA, Cantilena LR Jr, Green JL, Rumack BH, Giffin SL. 2009 Annual Report of the American Association of Poison Control Centers' National Poison Data System (NPDS): 27th Annual Report. Clin Toxicol (Phila). 2010 Dec. 48(10):979-1178. [Medline]. Cheeke PR. Endogenous toxins and mycotoxins in forage grasses and their effects on livestock. J Anim Sci. 1995 Mar. 73(3):909-18. [Medline]. [Full Text]. Fochtman FW, Manno JE, Winek CL, Cooper JA. Toxicity of the genus Dieffenbachia. Toxicol Appl Pharmacol. 1969 Jul. 15:38-45. [Medline]. Jaspersen-Schib R, Theus L, Guirguis-Oeschger M, Gossweiler B, Meier-Abt PJ. [Serious plant poisonings in Switzerland 1966-1994. Case analysis from the Swiss Toxicology Information Center]. Schweiz Med Wochenschr. 1996 Jun 22. 126(25):1085-98. [Medline]. Krenzelok EP, Jacobsen TD, Aronis JM. Plant exposures: a state profile of the most common species. Vet Hum Toxicol. 1996 Aug. 38(4):289-98. [Medline]. Lampe KF. 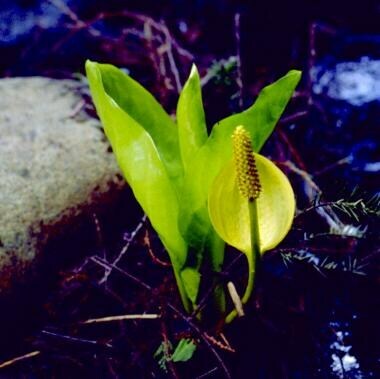 AMA Handbook of Poisonous and Injurious Plants. AMA; 1985. 1-6, 72. Loretti AP, da Silva Ilha MR, Ribeiro RE. Accidental fatal poisoning of a dog by Dieffenbachia picta (dumb cane). Vet Hum Toxicol. 2003 Oct. 45(5):233-9. [Medline]. Manríquez O, Varas J, Ríos JC, Concha F, Paris E. Analysis of 156 cases of plant intoxication received in the Toxicologic Information Center at Catholic University of Chile. Vet Hum Toxicol. 2002 Feb. 44(1):31-2. [Medline]. McIntire MS, Guest JR, Porterfield JF. 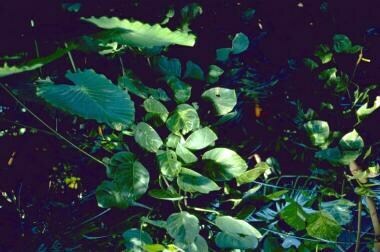 Philodendron--an infant death. J Toxicol Clin Toxicol. 1990. 28(2):177-83. [Medline]. Mitchell JC, Rook A. Botanical Dermatology: Plants and Plant Products. 1979. 114-5. Ogzewalla CD, Bonfiglio JF, Sigell LT. Common plants and their toxicity. Pediatr Clin North Am. 1987 Dec. 34(6):1557-98. [Medline]. Pamies RJ, Powell R, Herold AH, Martinez J III. The dieffenbachia plant. Case history. J Fla Med Assoc. 1992 Nov. 79(11):760-1. [Medline]. Tagwireyi D, Ball DE. The management of Elephant's Ear poisoning. Hum Exp Toxicol. 2001 Apr. 20(4):189-92. [Medline]. Watson JT, Jones RC, Siston AM, Diaz PS, Gerber SI, Crowe JB. 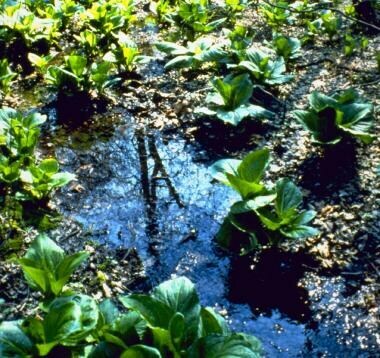 Outbreak of food-borne illness associated with plant material containing raphides. Clin Toxicol (Phila). 2005. 43(1):17-21. [Medline].